Choosing the right engine oil is believed to extend the life of the car engine. Therefore, one that deserves more attention is the proper selection of engine oil. Choosing haphazard engine oil will not have an immediate impact. However, the impact it will generate in the long run. Well, than the car engine faster damage better you keep and care for your car engine to stay durable and durable. One thing every automaker must remember is that engine oil should always be replaced on time. Worth noting is expensive car oil is not necessarily good and suitable for your car. Choose a car oil in accordance with the needs of your car to provide optimal impact for car performance. For most people, the function of oil may be limited only as a machine lubricant. In fact, the oil still has another function that is not less important than it. In addition to lubricants, oil also has a function as coolant, anti-rust, and also as a gap cover on the machine wall. With the engine oil then the friction between the components contained under the hood becomes more smooth and will not cause damage to each other. In addition, the engine temperature also becomes more stable and ideal. Many of us who have not been able to choose oil that suits the needs of the car. In fact, this is one of the things that are very important to maintain the condition of the car. SAE (Society of Automotive Engineers) parameters are one of the parameters that can be used in choosing car oil. Usually there is a code specification on the car engine is written 5W-50, 15W-50, 15W-40, and so forth. How to read the specification code as above is as follows, the letter 'W' behind the number is short for Winter. For example, SAE 15W-50, the code indicates that the oil has a SAE 15 viscosity under cold temperatures and has an SAE 50 viscosity under hot temperature conditions. In this way the oil will provide optimal protection even if the engine is turned on in very extreme conditions though. There is another thing worth noting when it comes to choosing engine oil. It is an oil-owned certification. Some agencies that issue certifications include API, ACEA, ILSAC, and JASO. By selecting oil that has been certified then the oil has been guaranteed standards and quality. You can calmly choose these oils without having to worry about the quality they have. One of the easiest ways to determine what type of oil is suitable for a car is to look at the guidebook of the car itself. In the car manual is usually explained about the oil or lubricant what suits your car needs. Do not stick to one brand only, preferring to choose oil that is in accordance with the specifications of the machine. 4. Choose Mineral or Synthetic Material? Engine oil can be divided into two types according to the ingredients, namely mineral oil and synthetic oil. Mineral oil is oil made from mineral base material. This mineral is extracted from petroleum that has natural molecules and is very good for maintaining engine condition. While synthetic oil is oil made from chemicals that have additive properties. 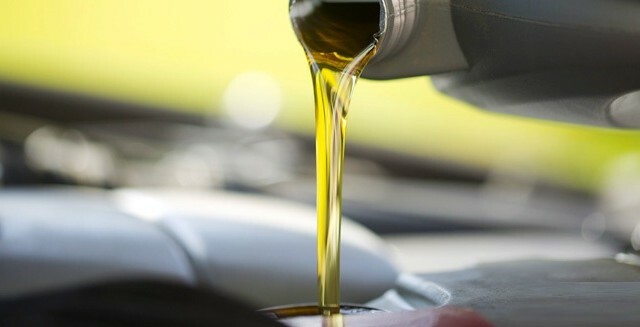 The advantage of synthetic oil is its ability to cope with temperature changes. This is very good because it can lubricate the machine perfectly under any circumstances.